Single component, water activated, hydrophobic, low viscosity, closed cell polyurethane injection resin. 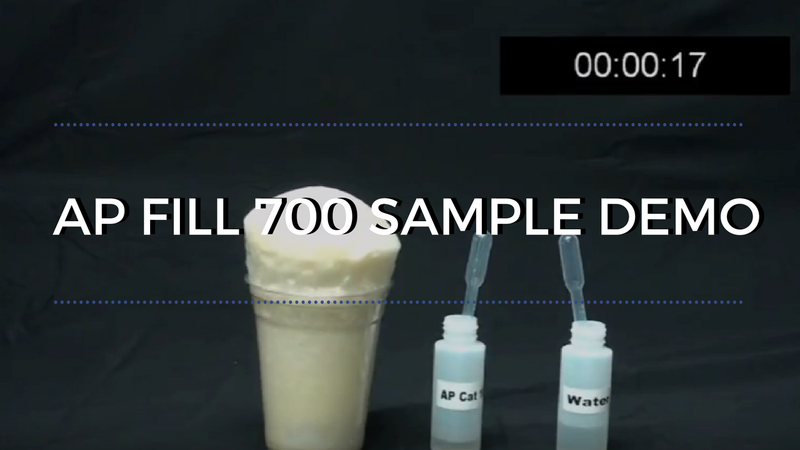 As the ideal leak seal for filling voids and also cutting off high-flow underground leaks, AP Fill 700 is a proven polyurethane void fill solution for all types of concrete structures. For similar products, see the page on Soil Stabilization. Concrete void filling for all types of structures. Filling voids under concrete slabs. Cutting off underground water flows. Cutting off high flow leaks. Adjustable set time – as fast as 20 seconds. Injected as a single component. Phthalate free available (more environmentally friendly).